The 27,150 metric ton ship Ithaca Patience has anchored in the Hambantota port with Slag cargo. Slag cargo is a motivator which is used for the cement production. Employees successfully unloaded the cargo with great efficiency. At times they had to unload 11,000 metric tons brought to the Galle port by small ships, but the draught of the Galle port was not enough to control such a big ship. 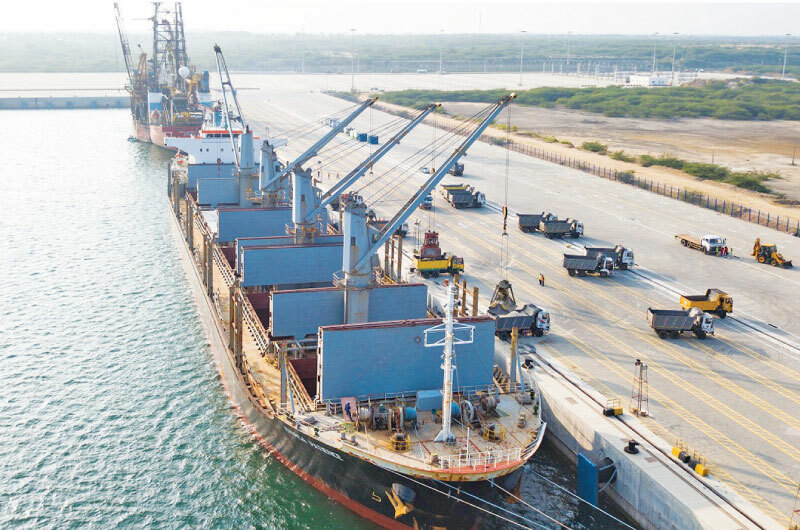 Chief Operational Officer of HIPG Tissa Wickramasinghe said that, the experience the staff of the harbour obtained by handling the ship will be a boost to cement production in the South. Furthermore, he said that, they have done operations according to the rules of The Central Environment Authority. Procurement and Insight Director of Insee Cement Thusith admired the service of Hambantota Port. He said they plan to bring Slag cargo to the Hambantota Port. He said this is a huge help to their dilate production capacity.